This is not circular logic — it is a profound truth! Once, you an entrepreneur, get hold of an idea, it is hard for you to focus on the numerous risk factors that accompany it. Often you are raring to go, and your idea consumes all your thoughts. You have full confidence that you can pull it off. You end up paying most of the attention to things that you are very good at and therefore already have a lower level of risk. Unfortunately, this also means that you have ignored many things that you are either unaware of or not good at. So you ignore them. Therefore, by definition, the most killer risks, in your startup business, will be the ones that you have ignored and not even considered. I know that this seems like circular logic and trying to make light of a very serious issue. But, in my mentoring experience, I have found that any advice using straight logic on this issue does not work very well. Entrepreneurs are in heat, and any slowdown, any time taken for reflection, is seen as the typical corporate claptrap that they hate so much. Q1: “You are standing at the shore of a river looking to cross it in a boat. What do you do?” Put the boat in the water. Q2: “ Not really! First, you have to find a boat” Of course. Q3: “ After you find the boat what do you do?” Put it in the water. Q4: “ What if the boat is full of gaping holes?” Oh! Yes. Walk around and inspect for holes. Q5: “ What if it is full of holes”. Fix them. Q6: “ Exactly. Do you fix the holes before you launch or mid-stream?” Before we launch, of course! It would be silly to try a repair job mid-stream. 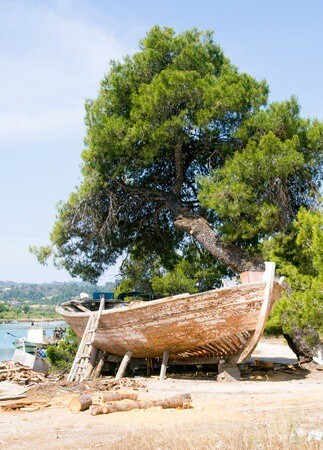 Q7: “It is an old boat and all the holes may not be repairable. What do you do?” If the holes are big enough and especially if they are below the water line, I would abandon this boat and find another one. Q9: Why? Because the boat will sink anyway. I am not foolish enough to take that kind of risk. Q10: “Now we are getting somewhere. If the big holes, especially below the water line are fixed but still a few holes remain?” If the remaining holes are small and above the water line, then I can still launch. I will keep a close eye on those holes during the transit because the water is most likely to come from there. And of course, I will have a pail ready to catch any water and throw it out. Q11: “That is exactly the right thing to do. What if you spent all the time polishing those planks of the boat that are in good shape; and, in the interest of time, ignored those planks which had the holes?” That would be stupid. Polishing the good planks any further and ignoring the holes will not improve the water worthiness of the boat. It will still sink. A mentor can improve the odds of success mostly by helping the entrepreneur recognize and reduce the potency of those risks that the mentee often may have ignored- to their peril. Stories are an effective way of making your point which otherwise gets ignored. A killer risk can come from anywhere. It helps to slow down and identify and reduce all the areas of risk one-by-one. That is the only way to reduce unexpected risks. Dr. Rajiv Tandon is executive director of the Institute for Innovators and Entrepreneurs and an advocate for the future of entrepreneurship in Minnesota. He facilitates peer groups of Minnesota CEOs. He can be reached at rajiv@mn-iie.org.